Matthew Wheaton, a software engineering professional whose experience includes more than 12 years at IBM, has joined Si2 as a senior programmer. His first responsibility is to take the lead on system builds and membership support of the Si2 OpenAccess database and scripting extensions, including oaScript. While at IBM, Wheaton specialized in build, test, and delivery of EDA tools before moving into Front End tool development and management of the primitives library. He has already built and configured a number of Linux hosts to compile oaScript and oaxPop, which were used to deliver the latest oaScript update (v.3.3). A native of New England, Wheaton has a Bachelor of Arts degree in Computer Science from Western Connecticut State University. 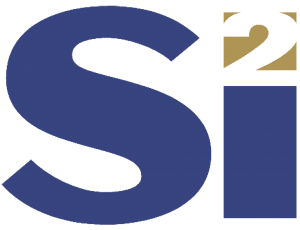 AUSTIN, Texas–(BUSINESS WIRE)–The Silicon Integration Initiative (Si2) announced today the election of the 2016-17 board of directors. Board members will be introduced at the Si2 Member Meeting and Reception during the Design Automation Conference (DAC), June 6, 4:00-6:00 p.m., Austin Convention Center, Room A10. New representatives on the Si2 board are: Humair Mandavia, chief strategy officer, Zuken (6947: TYO) and Richard Trihy, director of Design Infrastructure, GLOBALFOUNDRIES. “The board of directors plays a critical role in providing strategic direction for Si2,” said John Ellis, president and CEO, Si2. “Technology advances from the semiconductor industry provide the foundation for ongoing innovation throughout the electronics industry. However, electronic system complexity continues to exponentially increase, at the same time that our industry is consolidating and overall growth has slowed,” he added. “As a result, the need for efficient use of our members’ resources in collaborating on semiconductor and electronic system design tool interoperability has never been greater. To this end, our board determines the priorities for where Si2 resources must be focused,” Ellis said. About Si2: Founded in 1988, Si2 is a leading research and development joint venture that provides standard interoperability solutions for integrated circuit design tools. All Si2 activities are carried out under the auspices of the The National Cooperative Research and Production Act of 1993, the fundamental law that defines R&D joint ventures and offers them a large measure of protection against federal antitrust laws. The Si2 international membership includes semiconductor foundries, fabless manufacturers, and EDA companies. In a recent article, Randy Smith, vice president of Marketing for Sonics, pinpointed a problem confronting the EDA industry. “The difference between IP and EDA doesn’t matter much anymore. It is all about design acceleration. “Where can we make a difference?” he added. Moore says Moore’s law is “dead.” Can we bet on technology not progressing? Or do we become agile and embrace the coming changes? in software. It starts with new technology that rapidly improves over time, leading to cost competition and then commoditization. However, in every case, one important solution in these other industries had one similarity: standardization. Semiconductor manufacturing went from high-volume, low mix to more complex high-mix, low-volume. Autonomously functioning agile manufacturing cells or modules were developed. The leverage point was standardization. Anything standardized could be reused, thus reducing costs. Software evolved from huge programs to collections of smaller, object-oriented languages that are easily shared and reused (yes, a type of standard). Programs can be quickly created using others as a foundation. How does this apply to EDA? The total physical design cycle must be shortened to match current needs. We can’t redevelop entire checking decks between design passes as new rules are defined. Maybe we need a faster means of implementing new rules. How can the EDA industry attain the agility it needs to grow? The answer again focuses partially on a standard, one that supports agile rule checking-Si2 OpenAccess. Our oaScript, an extension to OpenAccess, allows writing rule checks quickly in a variety of languages, including perl, python, ruby and tcl. Why restrict the rule authorship to EDA? Spread it around and do it faster. What if the technology team could code the rules? Or the physical designer? Or enlist the program manager who set that ridiculous release date in the first place. So, why not join the Si2 OpenAccess Coalition and use your company’s vote to drive the future the way you want it? Showcase and contribute some of your best “glue” code. Hear other solutions from the rest of the IC design community. Why has IC physical design become commoditized? As time scales shrink and complexity increases, physical design cycles rely more on verification. A comprehensive set of rules need time to develop, and the technology changes occur simultaneously with the design. What’s needed is agility to repeat the design cycle quickly as new rules are invented. Si2 and other research and development joint ventures fill an important need for semiconductor companies competing in a fast-changing global market. What are R&D joint ventures and what do you need to know about them? The National Cooperative Research and Production Act of 1993 (NCRPA) is the fundamental law that defines R&D joint ventures and offers them a large measure of protection from federal antitrust laws. R&D joint ventures are formal agreements between two or more companies engaged in the research and development of technologies. They are proven tools for reducing design and production costs and speeding time-to-market. The Federal Trade Commission and Department of Justice are the NCRPA watchdogs. They review applications for R&D joint ventures, approve or deny them, and monitor the operations of those approved, including any changes in membership. Protection against legal challenges under Sherman and Clayton Antitrust laws is a significant benefit for members of NCRPA-approved, R&D joint ventures. In fact, no successful lawsuit has ever been filed against an NCRPA-approved R&D joint venture. Why? A “rule of reason” antitrust analysis shelters these protected collaborative activities. Without NCRPA protection, a more general “per se” viewpoint is used, where the behavior itself can be deemed to violate antitrust law. Also, if a violation occurs, the claimant can only receive actual damages, rather than treble damages available without NCRPA protection. This is a powerful deterrent against lawsuits. Those types of activities mark a primary difference between an R&D joint venture and standards development organizations. SDOs can only perform voluntary, consensus standards activities, and though the NCRPA antitrust protection covers the SDO, it does not extend these protections to individual SDO members. Any collaborative R&D activity done under the auspices and guidance of Si2 receives the same anti-trust protection. Si2 special interest groups, coalitions and working groups focus on solving industry problems, knowing they and their companies have the safety the NCRPA provides.